It surely does not come as a surprise to anyone, but teens get in trouble too. A joke can be taken too far, or a prank can result in damages. While the nature of juvenile charge may seem benign, the repercussions of a juvenile conviction can have life-altering consequences. Across the state of Florida roughly 5 percent of teens are arrested on an annual basis. The charges can range from party/drug offenses to more serious accusations of violence and theft. If your teen has been charged with a criminal offense, it is critical that you immediately reach out to an experienced criminal defense lawyer. A guilty plea to any offense can severely hinder your teen’s future employment, education, and ability to find a housing. While you may think that a teen will get a more lenient sentence due to their age, the opposite is often true. The reality is that juvenile offenders often receive harsh sentences in order to discourage similar behavior by other teens. This is where a knowledgeable criminal defense lawyer proves to be invaluable. While you certainly want your teen to learn from the mistake they made, you also want to ensure that the mistake does not destroy their future. Hiring an experienced lawyer is an extremely important step as you strive to protect your child’s rights. Florida statutory law defines very clear differences between youthful offenders and juvenile defendants. 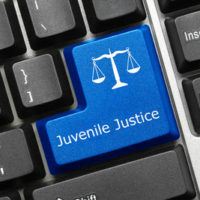 A juvenile defendant is a child 17 years old or less who is facing charges in the juvenile system. There is no jury in a juvenile case and most punishments are aimed at rehabilitating the defendant. In most juvenile cases the files are sealed and later expunged. Meanwhile, a youthful offender is a defendant in the normal criminal justice system who is 20 years old or less and qualifies as a youthful offender. The main advantage to qualifying as a youthful offender is that if convicted the defendant will never serve more than a six-year sentence. In addition, judges are allowed to sentence youthful offenders to less than the sentencing minimums listed in Florida law. Both juvenile and youthful offender classifications are designed to help teens and young adults learn from their mistakes and move on to live healthy, productive adult lives. In reality the best thing that can be done in a teen’s life that is at risk is to provide the child structure through proactive parenting. Ideally, no child should ever be in a position where they are subjected to the legal system. If your child has been accused of a crime it is imperative that you seek the counsel of an experienced criminal defense lawyer. At The Baez Law Firm we understand the severity of even the smallest juvenile offenses and have the knowledge and experience to advocate on your child’s behalf. Do not let your child’s future go to chance; hire a Florida criminal defense lawyer to protect their future. Call us today at 800-588-BAEZ for a free consultation.